🥞 They serve Breakfast too! Situated in what was once an orange grove, and a post office, La Grande Orange Grocery & Pizzeria is a popular neighborhood gem positioned at 4410 N 40th Street. Anyone that lives in the Arcadia area has heard of La Grande Orange Grocery & Pizzeria, also commonly referred to as LGO, because it is sort of a neighborhood institution. LGO has been open for more than 17 years and the quality of food that is both sold and served here has helped to raise the status of other eateries in the Arcadia area. This corner store used to be a sleepy “convenience store” where locals would go if the preferred store (Safeway, Walgreens, Smitty’s) was too far away. It was a bit of a last resort if you will. Honestly, the area was starving for something real. Something cool. When Chris and Craig DeMarco opened up Postino and La Grande Orange it was as if nutrition was being injected into the neighborhood. All of the sudden the little unassuming corner store at 40thand Campbell was the place to be. And now, almost 20 years later that vibe has never skipped a beat. What’s not to love about a spot that allows you to shop for groceries and enjoy high-quality meals all under one roof? La Grande Orange Grocery & Pizzeria is an establishment that consists of a gourmet market, bakery, pizzeria, and café. LGO brings a vibe that makes patrons want to be there to hang out with friends, and plug into the positive energy that radiates from this place. It’s one of those special spots that every neighborhood knows it needs in order to be a place that feels like home. When you walk in, you will be met by the grocery area, which is a funky and eclectic space that avails everything for customers from gifts and games to wines and pet pampering service. The sitting area, which is usually transformed into a restaurant at night, is also charming with square, circle and triangle tables arranged under umbrella lamps and chandeliers. Communal tables, as well as individual ones, help to encourage camaraderie in LGO. Essentially, you can order anything that you want including the sannies, salads and the range of desserts available. There’s pizza too! The pizzas, which are loaded with flavor and are made using thin, crisp sourdough crusts, organic ingredients delivered daily from Victory Farms, exotic combinations of flavors, and homemade sausage. The pizzas are unsurprisingly very well done and are unique as most of them can be altered with gluten-free crusts or can be made vegan. The Rocket Man Pizza, topped with broccolini, roasted garlic, Fresno chilies, and sun-dried tomatoes is a crowd favorite. Other varieties include the Avocado Pizza, the Fallen Angel made with roasted peppers, Schreiner’s sausage, shaved fennel, classics like Cheese and Margarita, and much more. The pizzas are affordable ranging between $12 and $14. For early risers, LGO also offers one of the most varied breakfast menus in the area; the commuter sandwich and the Havana Latte are very popular with the breakfast crowd. 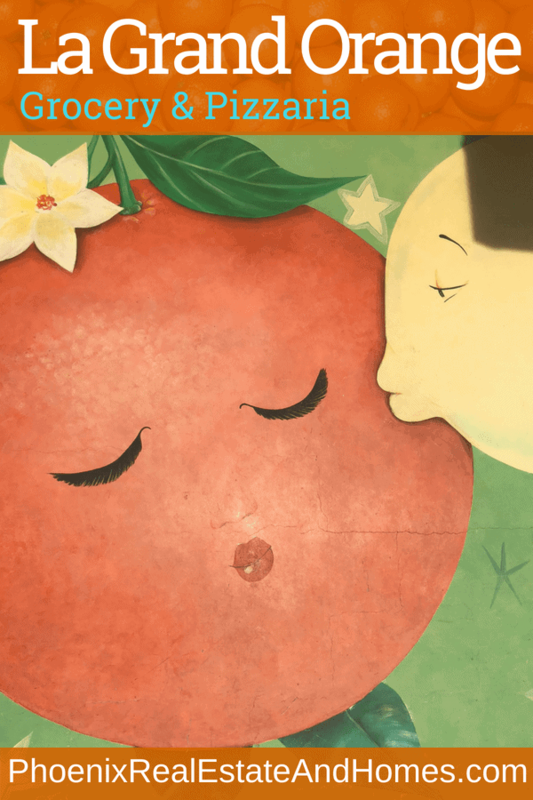 LGO is very easy to spot; simply look for the large and cute mural of the lemon kissing the orange and take it as an indicator of your arrival.